Located near to a cluster of properties at the bottom of a beautiful wooded valley this nicely converted, light and airy former stable block provides modern and comfortable accommodation. The entrance door leads into the sitting area with its easy chairs, TV DVD. from the sitting area a step down leads to the kitchen/dining area complete with fridge, electric cooker, hob and microwave and is well set of with a modern tiled floor. The stable doors can be opened in this area to provide a fantastic view, enhanced by the 'floor to ceiling' windows and glass door, across the valley. The sitting area also provides access up a couple of steps to the shower room leads which is fitted with modern shower, WC and wash hand basin. The "loft" sleeping area is accessed by a single flight of stairs from the sitting area where there is a 5 ft king bed chest of drawers and clothes rail. This room has good views up the valley. 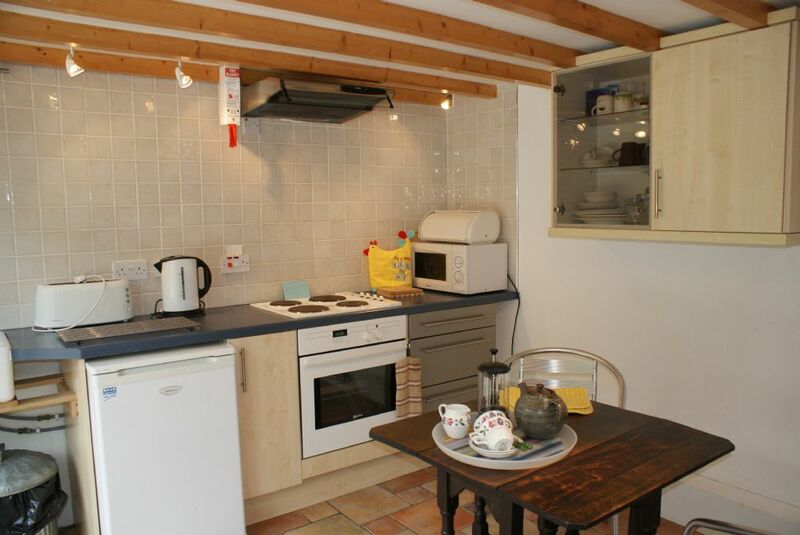 The property is heated by Oil Fired Central Heating. To the side of the property is the utility room with washing machine and oil fired central heating boiler. This room is very useful for drying clothes. The utility room also contains the telephone (honesty tin in the lounge). There is parking in front of the property and use of a lawn to the side and the orchard to the rear. Customers are also able to use the two fields over the lane to the rear of The Stables. The Stables - 175244 The Stables is situated 1 mile from the village of Veryan. 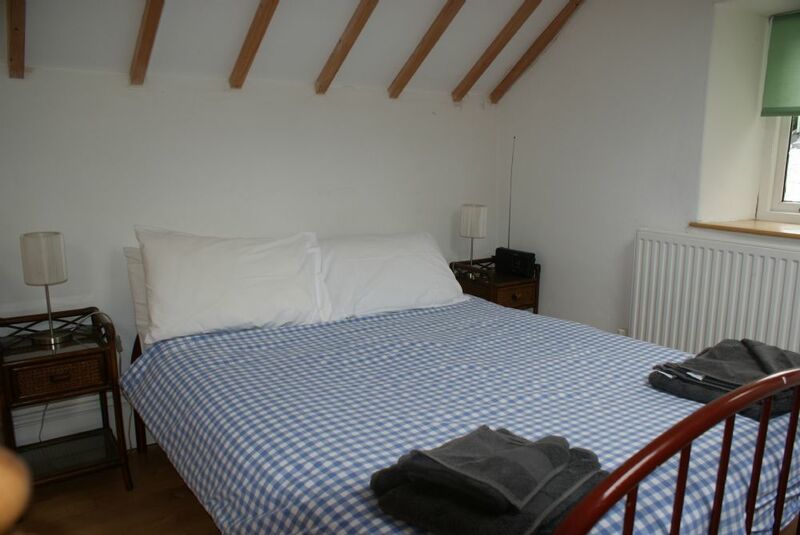 Is a nicely converted, light and airy former stable block. Offers accommodation for 2 persons. "it is the third time we have stopped at the stables beautiful location we would definitely liked to visit again"
"First impression was OMG it's so small. But once you have unpacked it is a perfect little bolt hole to enjoy the surroundings. But for a weeks holiday it's great. Location is superb so peaceful only birds and the stream can be heard, yet only a few minutes walk to the beach. Perfect. Ideal as a base for walking on the coastal path or touring around Cornwall. We had a lovely week & the weather was kind as well. Will definitely be returning again in the future. " 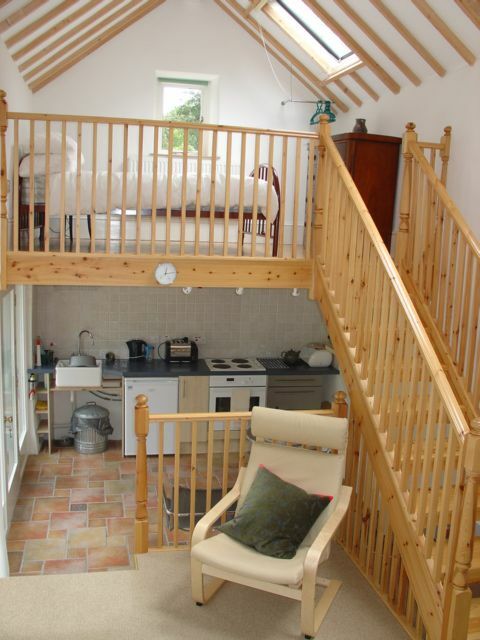 "The Stables is in a beautiful location: a quiet wooded valley between Pendower beach and Melinsey Mill. The accommodation is quaint and generally comfortable with all the facilities expected (except WiFi...come on guys, we're in the connected age!). My only issues were generally minor and didn't really detract from the holiday, but I think they are worth mentioning. The shower room extractor fan seems to have a fault in that sometimes it doesn't stop after the room has been vacated, and being quiet noisy can become an annoyance. The way the living area has been arranged means no room for a sofa. Whilst the two armchairs are comfortable, they are rather difficult to get out for someone of my age (62) who has arthritic hips and a frozen shoulder. The remaining issue is one of privacy. Without curtains, the only way for privacy in the evening is to shut the large stable doors: this is something of a bind, but necessary if you don't want walkers (public footpath running past the property) peering in. Given the hot summer, this also reduces the amount of fresh air coming in. Upstairs there is a privacy issue too in the fact that the two velux windows over the living area don't have blinds: it's a little disconcerting when lying in bed to see people passing on the road and peering in. As I said earlier, these were really rather minor issues that didn't really distract from the holiday, and I would definitely consider staying in the property in future." "We have stayed at this little place several times now and love it. It suites our needs perfectly. The location is wonderful and Poetscatho Holidays are an excellent company to deal with"